Want to know where to start with your small home renovation in Perth? It is so overwhelming thinking about all the decisions that you need to make before starting your home renovation in Perth. To take some time to think and research at the start of your project, as it’s imperative to get the design foundations right. 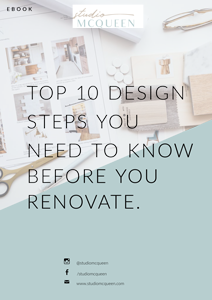 Otherwise, these smaller mistakes can turn into a snowball effect and at the end of the renovation your feeling a little deflated and disappointed with the results. 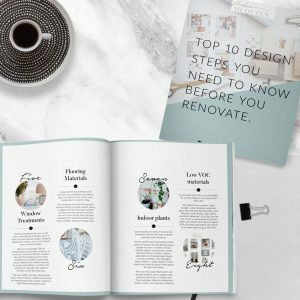 So grab a coffee, chill back and read my Top 10 design steps you need to know before you renovate. P.S If you don’t receive an email with further info please check your spam or promotional tabs. 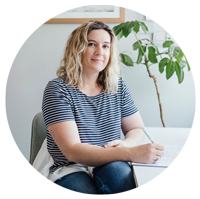 With 15+ years experienced as Interior and building designer I can help you decide on space planning and design for your home, kitchen, bathroom renovation's to designing small extensions. Advise which fixtures to invest in and where to save on costs. The foundation to Sustainable design is creating a design with a timeless look and loving your home again.